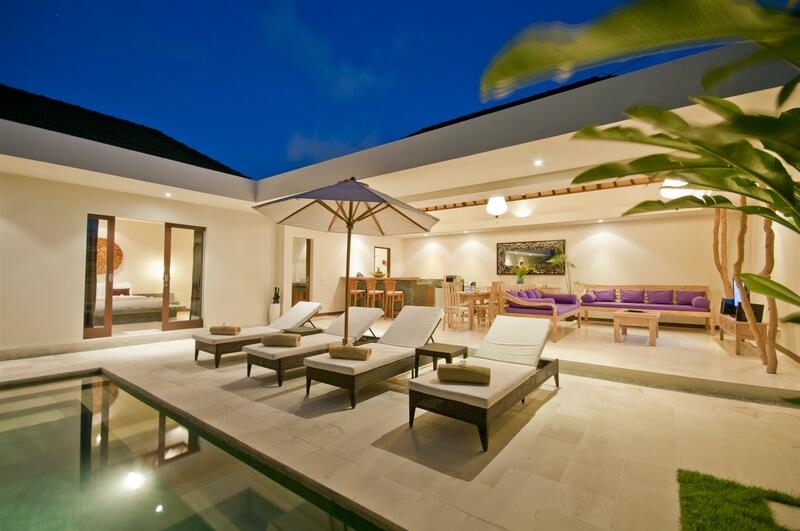 From $ 335AUD per night We have direct contracts with most villa owners. We don't add any booking fees. We are 100% transparent with no nasty surprises. 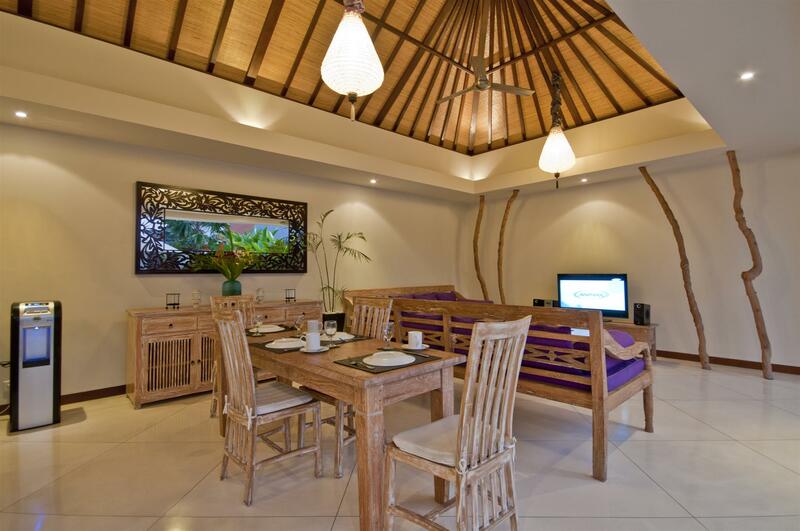 Near Seminyak's famous 'Eat Street' - rent this now! 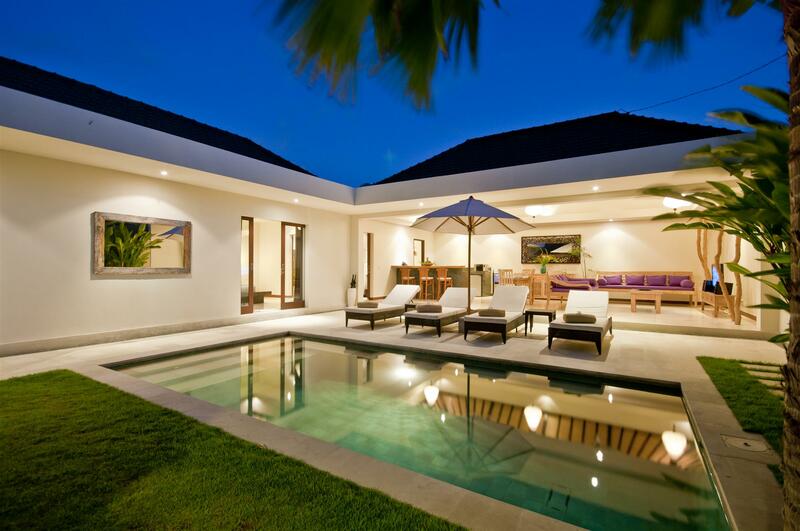 Villa Umah Kupu-Kupu is a modern holiday 2 bedroom Seminyak villa holiday rental offering both functionality and style. 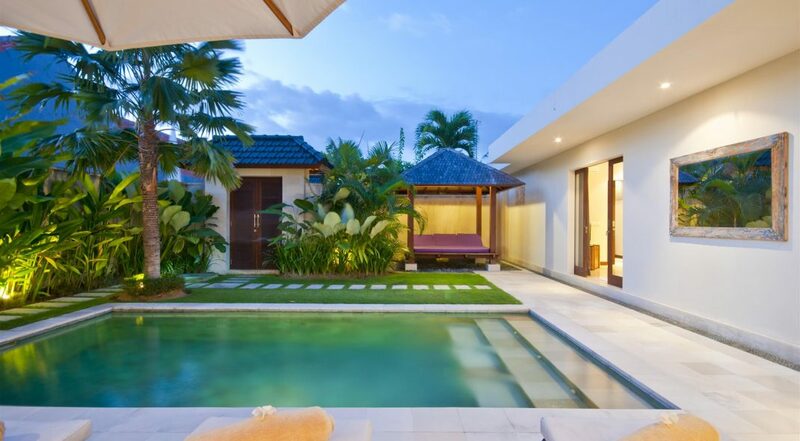 Located in a very convenient central Seminyak location, the villa is ideal for those wanting to be right in the action, enjoying every vibrant element of Seminyak itself. 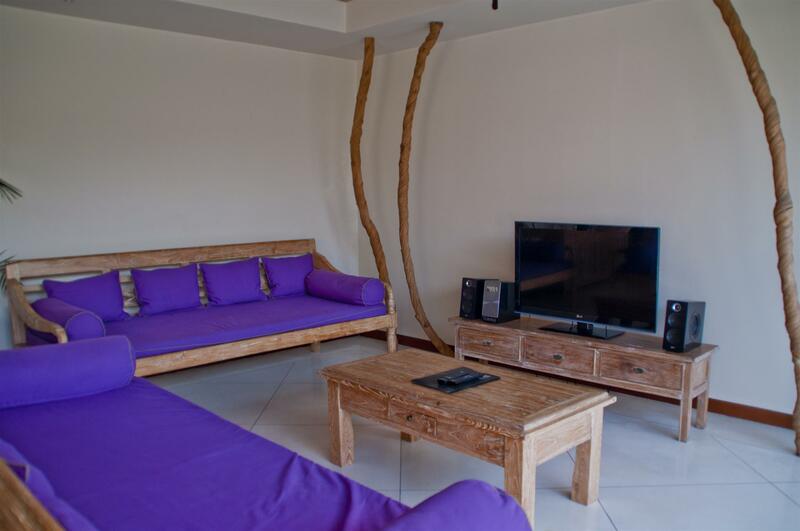 Whether you’re lounging by the pool, watching TV, dining or resting in the comfort of your bedroom, there’s no doubt you will comfortable in your surrounds. 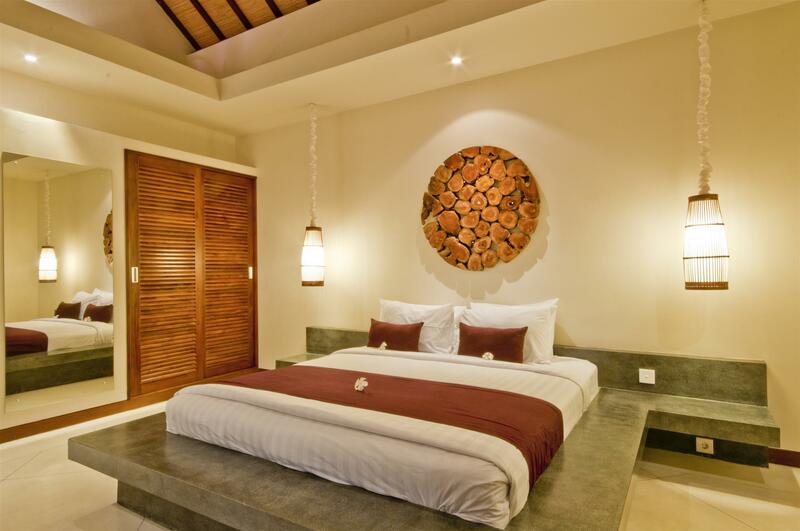 Ideal for a couple with one or two children or two couples looking to enjoy a Bali holiday together, Villa Umah Kupu-Kupu is a smart choice. 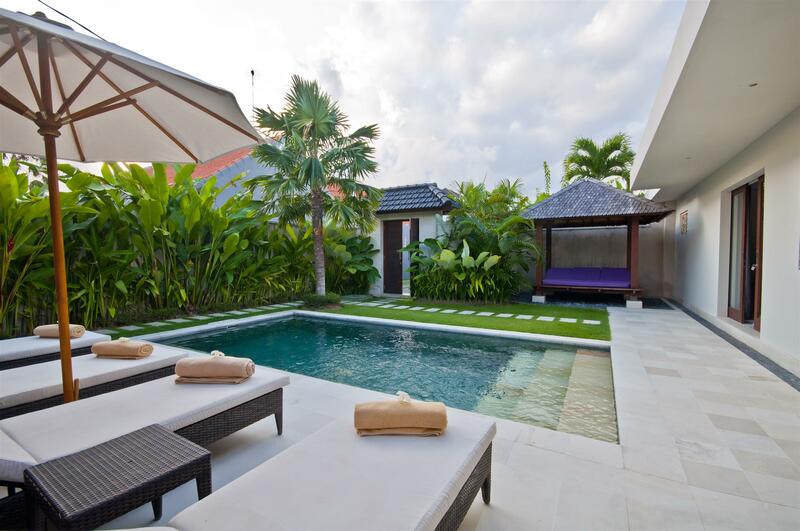 The garden is neatly maintained and offers sufficient space for guests not to feel cramped, a high wall offers privacy whilst you relax on the pool deck and have in the sparkling waters of your private pool. 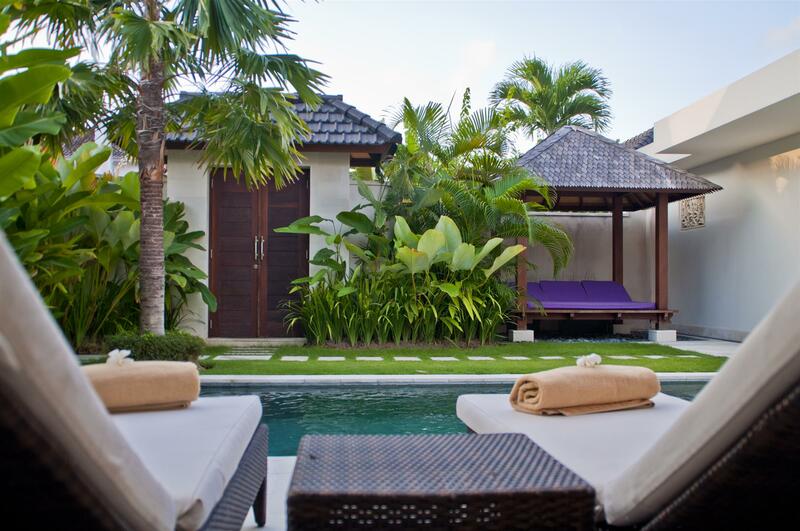 Tropical palms remind you that you’re in paradise and the garden bale is ideal for a pampering massage or place to do some light reading. 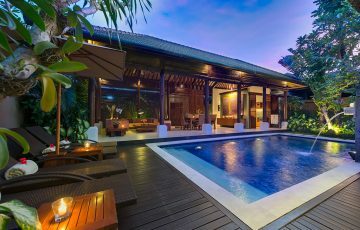 Just off the pool the main living area provides tropical open-air living so you can enjoy fun and laughter with each other whether your taking a refreshing dip or relaxing on the lounge. 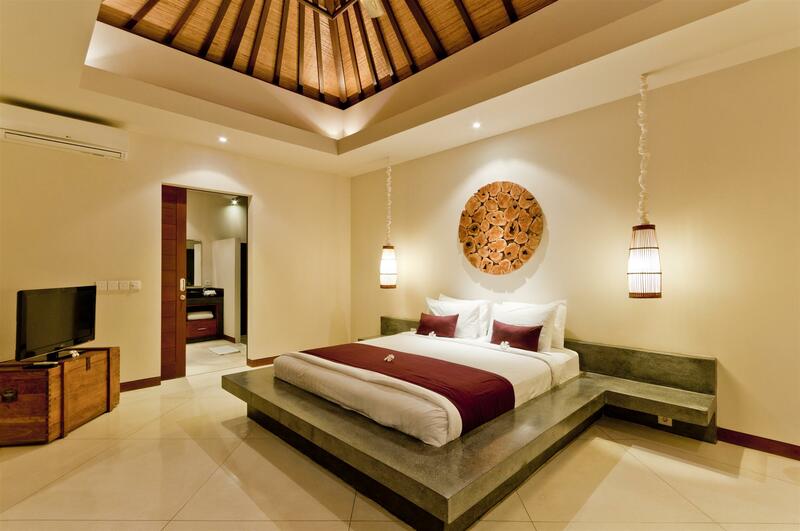 The timber furnishing with its white wash finishing blends perfectly with the earthly tones of the villa. 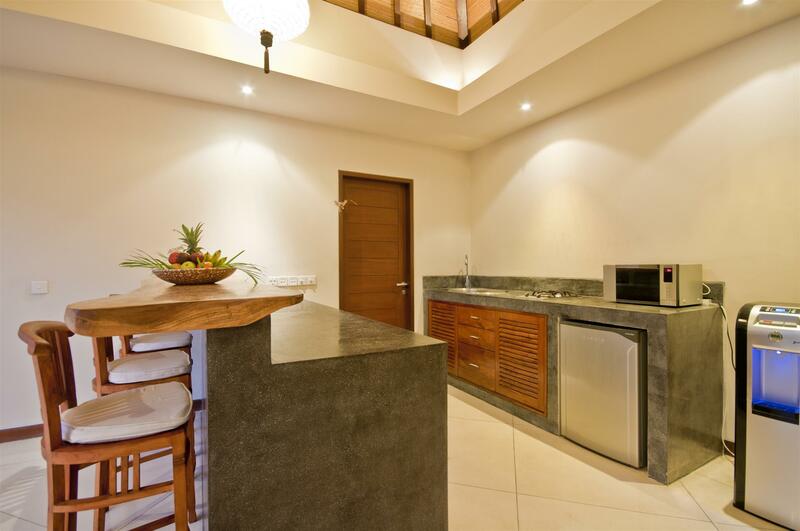 The kitchen is well equipped for you to prepare meals and the day bed style sofas are roomy so you can stretch out while watching the cable TV. 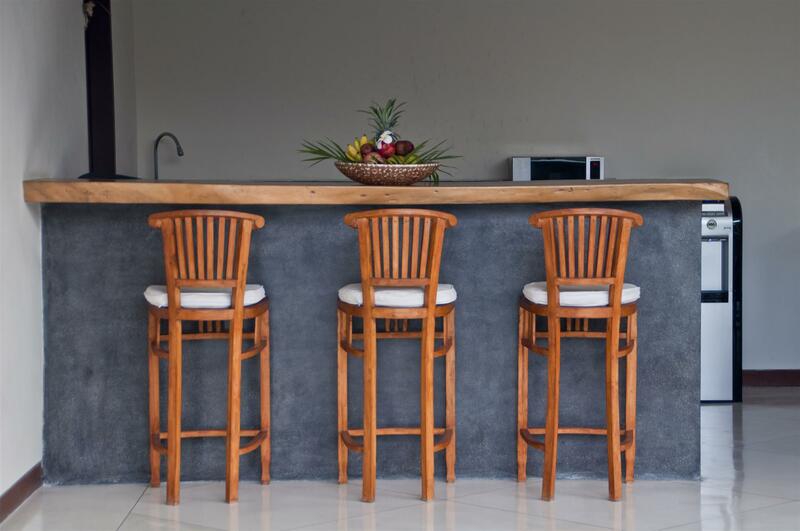 To create your own holiday ambience there is an iPod dock at the ready and fast wi-fi will keep you connected on your devices. 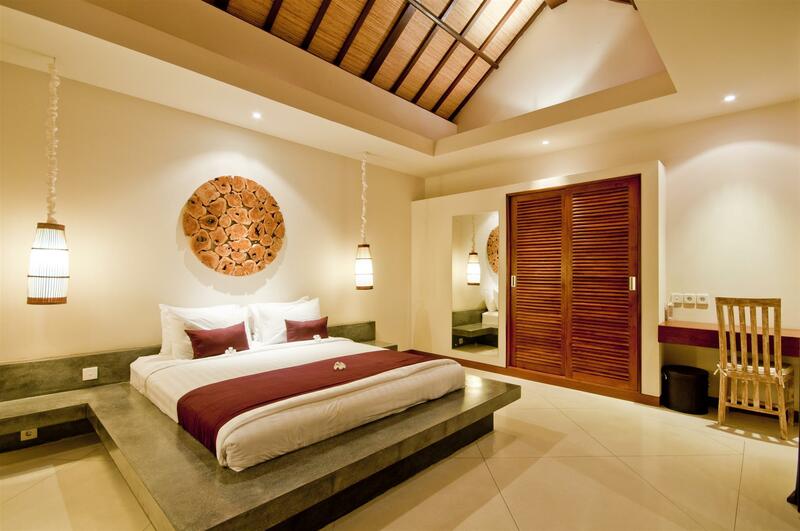 The bedrooms with en-suite bathrooms feature built-in minimalist beds with premium king size mattress’s placed on polished cement bases. 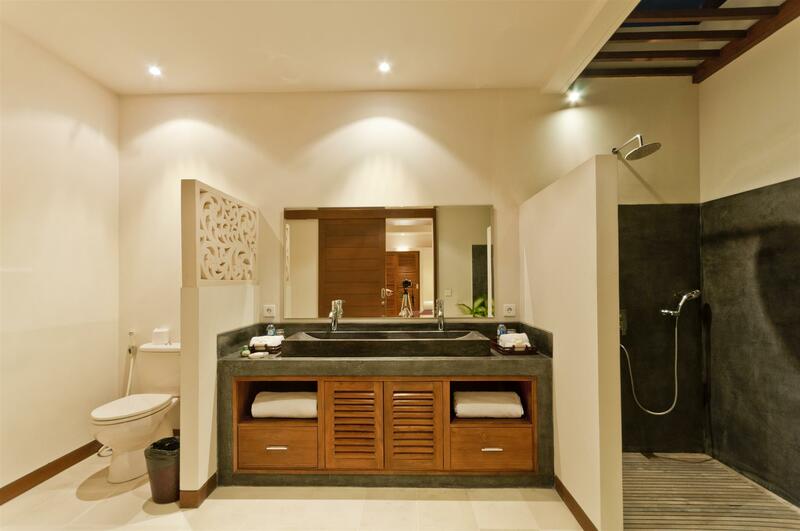 Fully air- conditioned, the rooms provide built-in robes, flat-screen TV’s and ensuite bathrooms with twin vanities and rain showers. 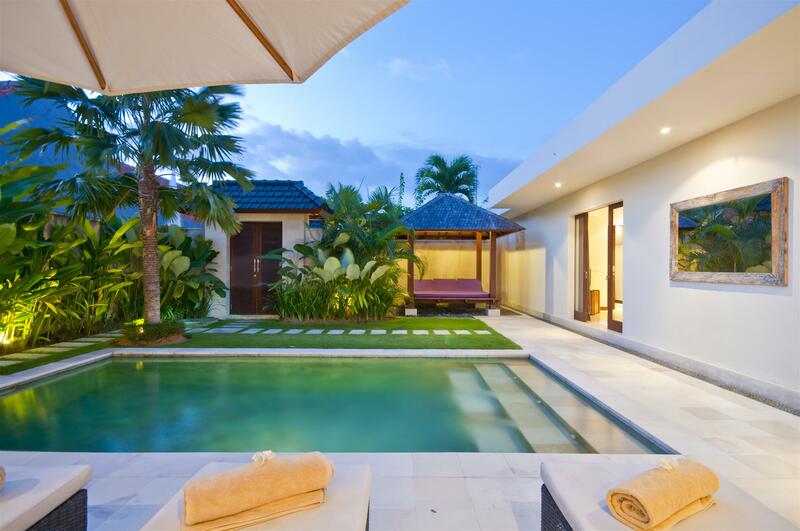 Sliding doors open onto the palimanan stone pool deck and allow plenty of natural light to fill the rooms. 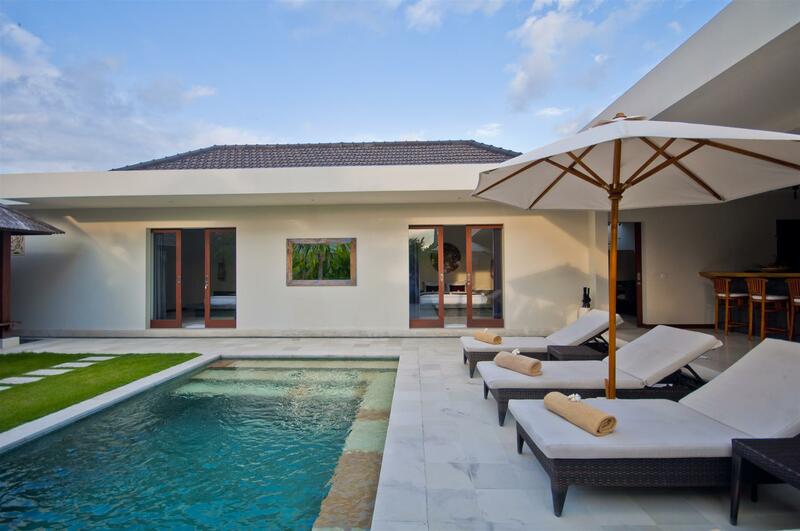 The villa is efficiently run by the professionally trained staff, as the villa is part of a private villa complex guests will enjoy butler service, daily housekeeping services and the complex also has night time security. 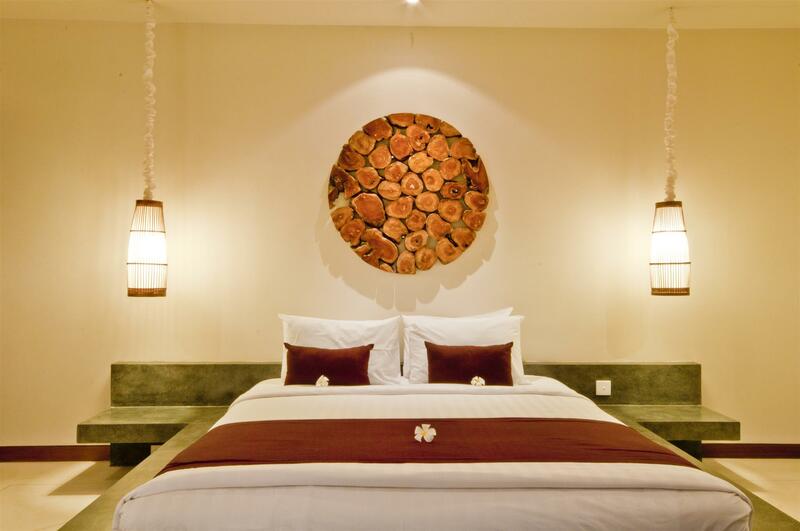 The staff will cater to any special requests you may have at any time. 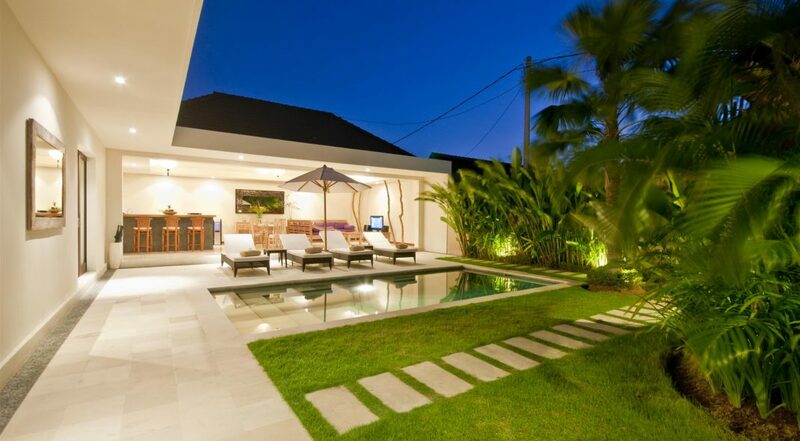 Located in a quiet lane at the top end of Jalan Oberoi Street, or commonly referred to as “Eat Street, guests can easily enjoy a morning coffee at The Corner Café, maybe have lunch at Mamasan or the popular Cafe Bali and stroll to La Favela or the Champagne Bar for some night time festivities. 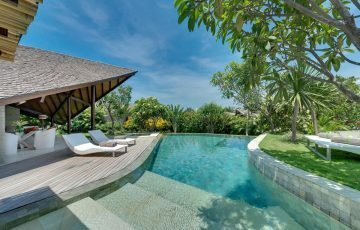 Guests can walk to the iconic Ku de ta Beach Club for a sunset cocktail or just spend time during the day at the beach with the kids. 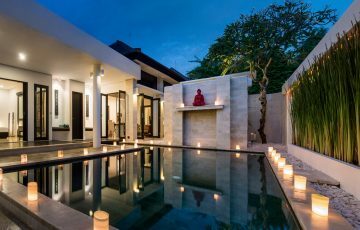 If you love your shopping, going out to fabulous restaurants, sipping a latte in a cafe, keeping up your yoga practice, being able to easily find things to do for the kids or simply spoil yourself at one of the many day spas, then this is the ideal villa for your next holiday in Bali. 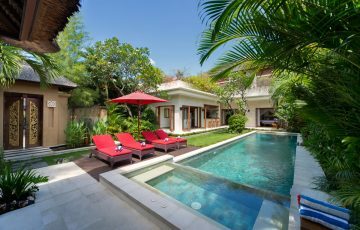 To view other 2 bedroom Seminyak Villas or more family friendly Bali Villas near Eat Street, please browse this website or contact our reservation team. 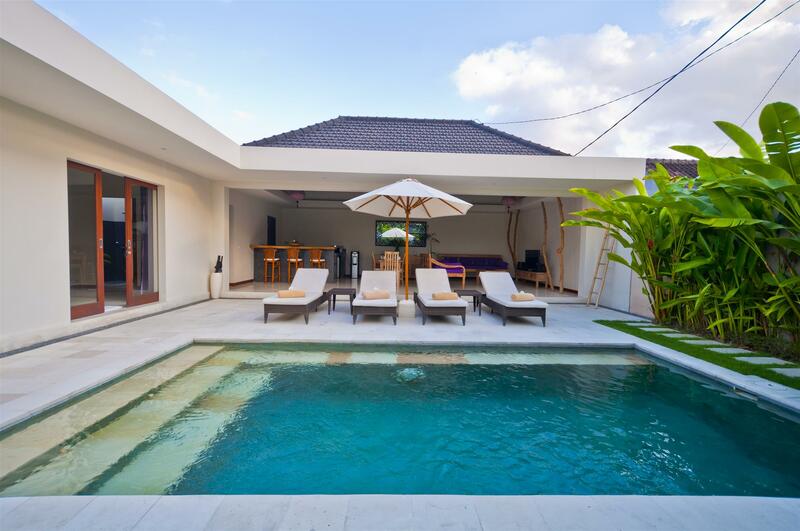 Book your Seminyak holiday at Villa Umah Kupu-Kupu well in advance as this is a popular villa, especially if your planning a trip to Bali during the Australian school or public holidays. 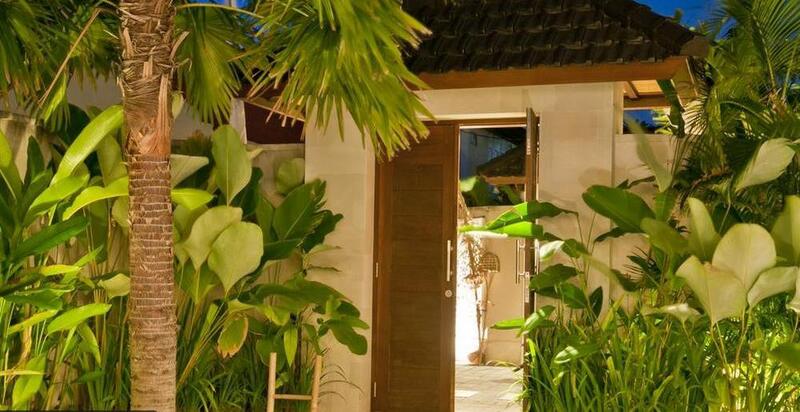 Deciding to stay at Villa Umah Kupu Kupu is the best decision my husband and I made. 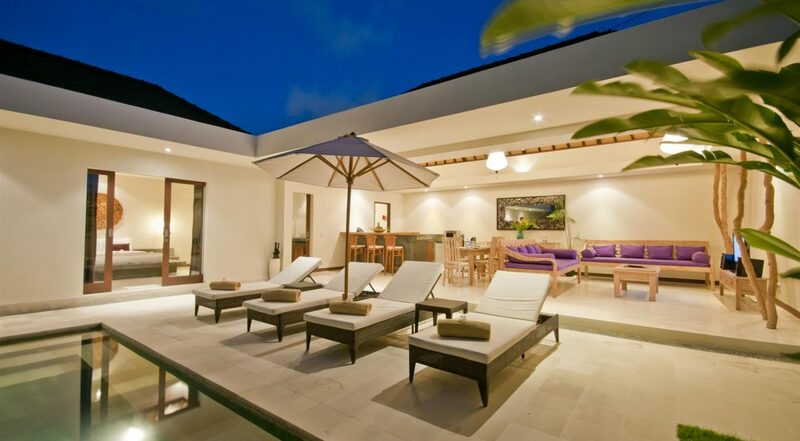 The villa was so clean, beautiful and really quiet. 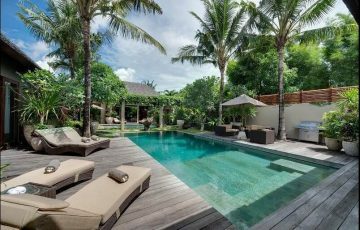 The kids always had a great time in the pool and my husband and I enjoyed exploring nearby Seminyak which was within walking distance. 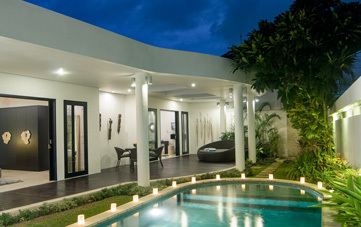 We couldn’t have asked for better staff, services or villa. Everything was simply perfect. 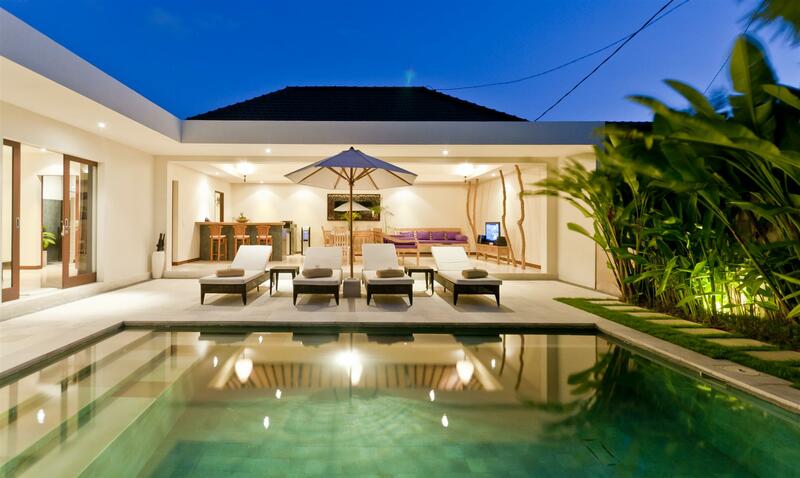 When my friends and I arrived at Villa Umah Kupu Kupu, we knew immediately that we would have the best time. Made & Wayan made it spectacular for us everyday. 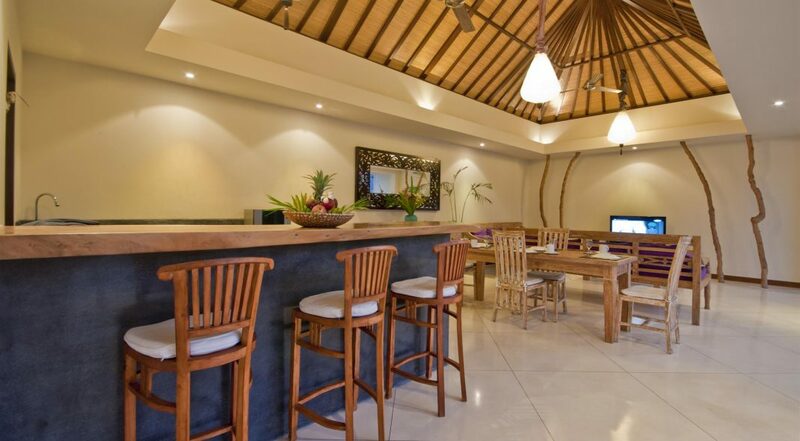 The location is great, the staff is amazing and all the facilities are spot on. The Wifi was superfast so we could easily keep in touch with the outside world and the breakfasts cooked by the chef were out of this world. We hope to return here sooner than later. Thanks!!! 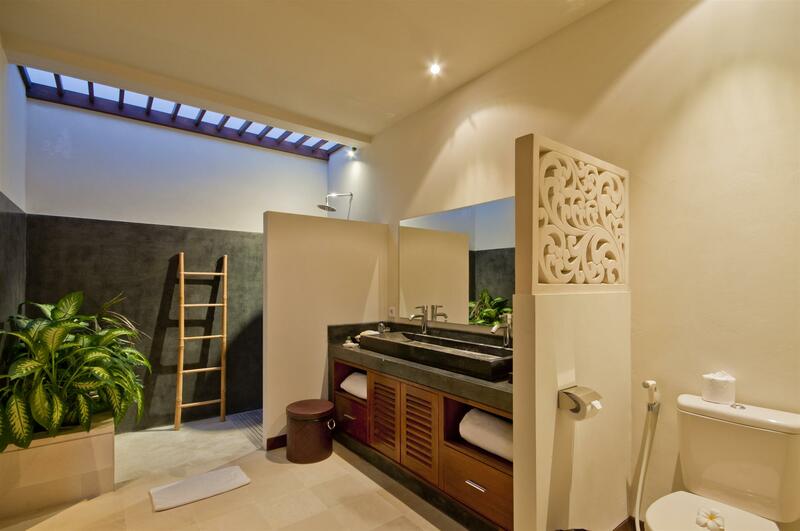 Loved the location and the facilities - lots of room and a great ambiance. Just want to do it all again. 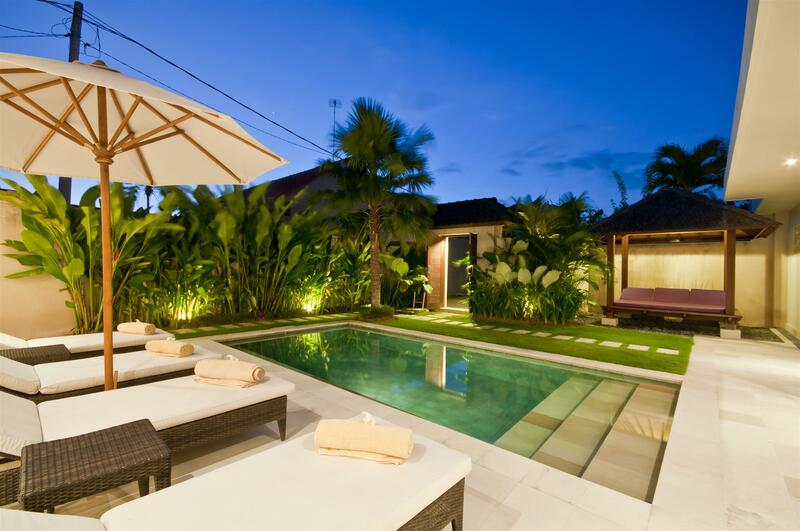 Perfect for our small group of friends as we really wanted to be close to the shops and restaurants. Pricing is also really good. 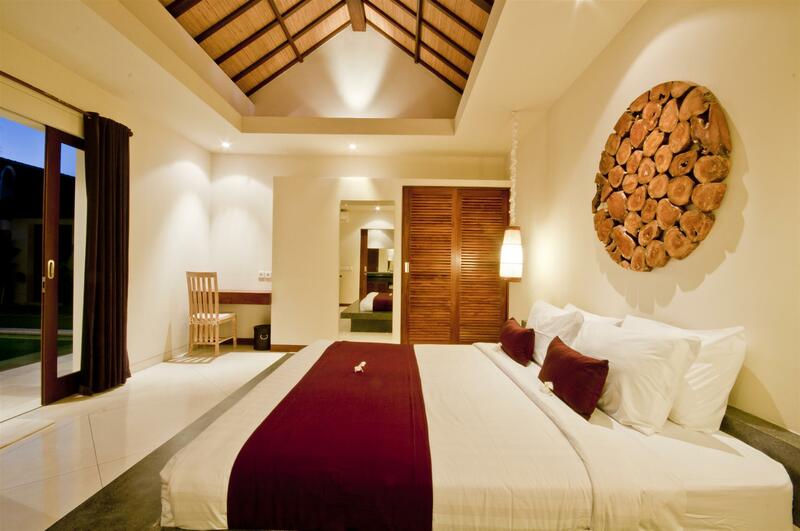 Kupu Kupu has a really relaxed feel and you notice it immediately. Convenience is the stand out feature here as your nearby lots of really nice places to eat and take the kids. Highly recommended. Staff were very professional and super responsive to our families needs. 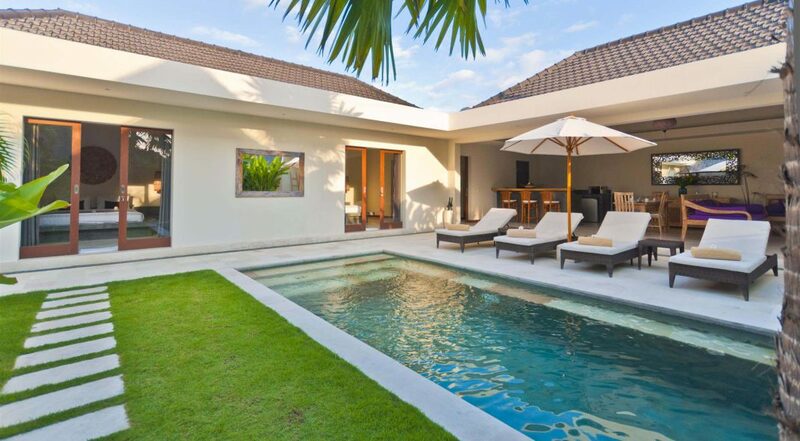 Clean villa in really good location - perfect!!! 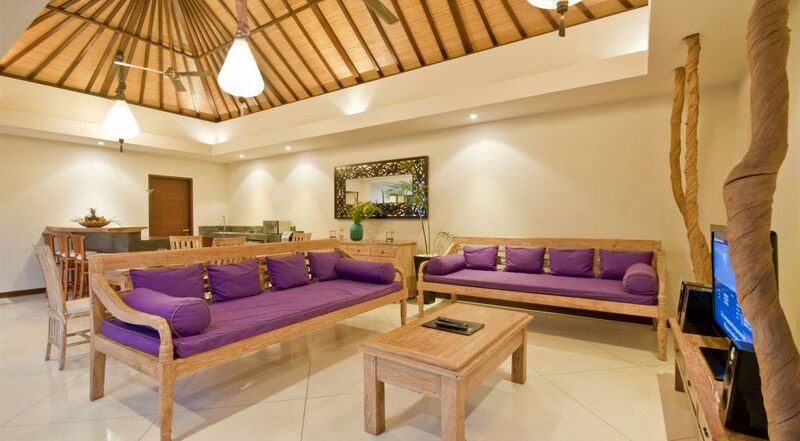 Friendly staff, modern villa - perfect place to spend 9 days with our children.